Happy Thanksgiving everyone! I hope your weekend is filled with all sorts of deliciousness, hopefully in the form of special desserts! I will not be in the city over the holiday, so no brunches this weekend. However, I will be leaving you with this fabulous find from last weekend. If you have foodie family members in town, I highly recommend it! One of my favorite neighborhoods is the Upper West Side, home to the American Museum of Natural History and a plethora of cafés and clothing stores. One such charming café is Blossom, located on Columbus Avenue at 82nd Street, where we went for brunch before the holiday frenzy. Blossom, a vegan restaurant, is a short walk from both the heart of Central Park and the 79th Street stop on the 1 train. Blossom is as warm and pretty as the name suggests. 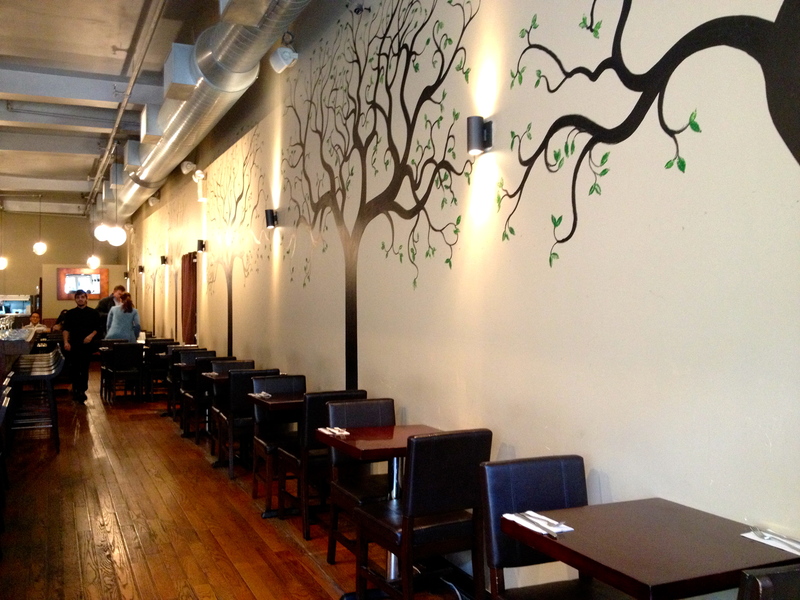 Inside the restaurant is all bright and colorful, and the murals on the wall suggest nourishment, growth, and other plant-related metaphors. The hardwood floors and the plush seating also adds a touch of elegance—this is not a barefoot-and-dreads sort of place. Though the restaurant is small, the high ceilings and the reflective surfaces add depth and space. 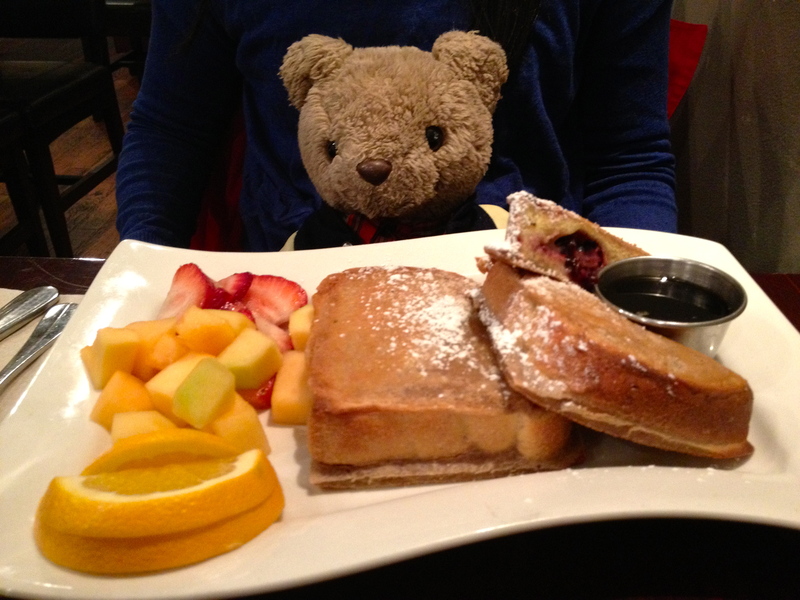 Even though it was around 1 PM when we went, they still let me order the stuffed French toast, which is amazing. French toast is one of my favorite foods to make and eat, but ordering it at a restaurant is usually a no-go, because of all the butter and milk that goes into its creation. Other exciting things on the menu were soy bacon cheeseburgers, milkshakes and pancakes—all things I can never order at a regular restaurant. All the options were overwhelming, so I reverted to the wonderful French toast that I’ve had before. Whenever I make French toast at home, it’s mostly just a mess of bread, eggs and sugar. Blossom’s version of French toast consists of thick, practically cake-like bread, stuffed with raspberries, strawberries and “cream cheese,” which gives it a much more intense and complex flavor and texture. 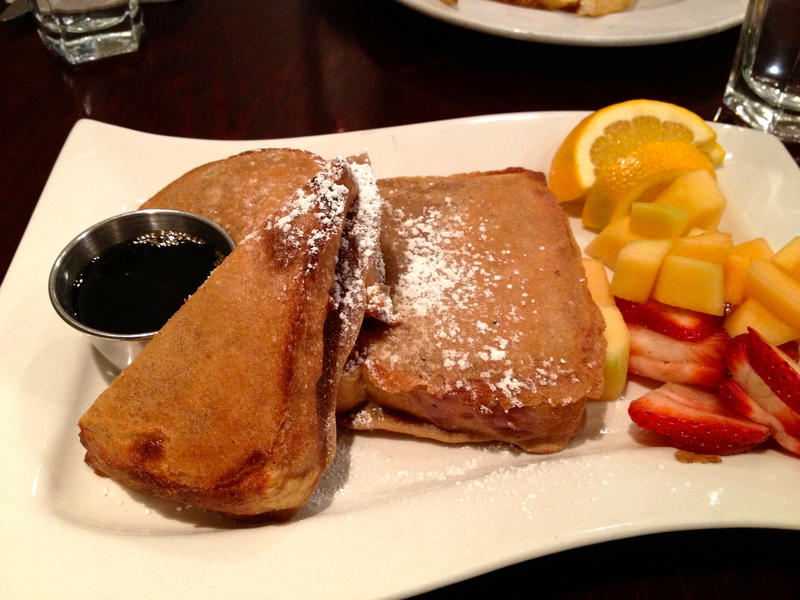 The portion size is pretty perfect, right down to the syrup and the side of fresh fruit! The other Blossom customers were young and trendy, which is typical for the Upper West Side, and not everyone was a vegan. Contrary to popular belief, you don’t have to be a vegan to love Blossom—you just have to be open-minded. Even Bear fit in rather well with the whole scene. Because Blossom has such beautiful plates that all seem really delicious, I would recommend getting a few things to share between friends. Usually I refrain from sharing food at all, mostly because of cross-contamination, but Blossom has zero risks of dairy contaminants! Plus, the ability to be adventurous comes very rarely for us food allergy folks (see The Full Story) and Blossom is an especially safe place, unlike so many other restaurants in the city. Blossom is a delicious delight, especially when paired with a pretty walk in Central Park or a trip to one of the many nearby museums after brunch. If you are looking for a classy brunch this weekend, Blossom is it. On this day full of gratitude, I am grateful for all the wonderful family, friends, and of course, food in my life! I hope you all have a safe and scrumptious holiday! Your invitation to Brunch with Bear! 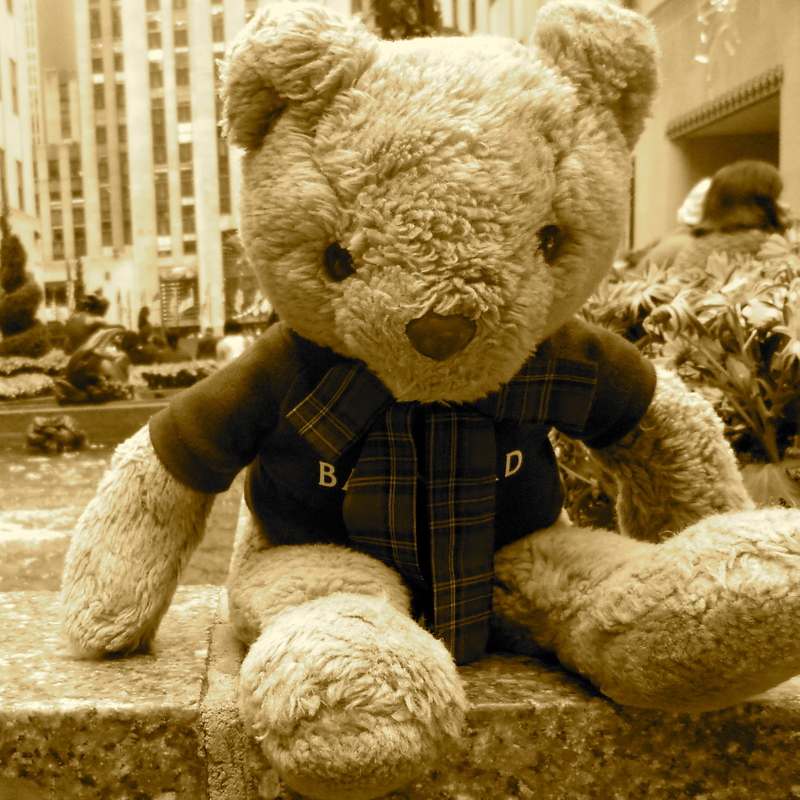 Click here to get new posts from Brunch with Bear directly to your email inbox! Sweets and Sonnets: Chocolate Swirl Banana Bread and I’m Nobody! Who are you?